Samsung promised to use a new UFC 2.0 storage in Galaxy S6 that will increase the data read/write speed 2.7x faster than normal storage. UFC 2.0 uses "Command Queue" technology (as seen in Solid State Drives) for accelerating the speed of command execution. 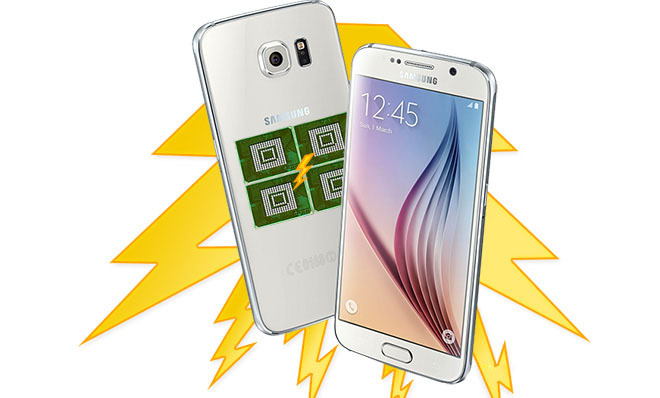 The device has no microSD, so the the performance test will run on its internal storage. 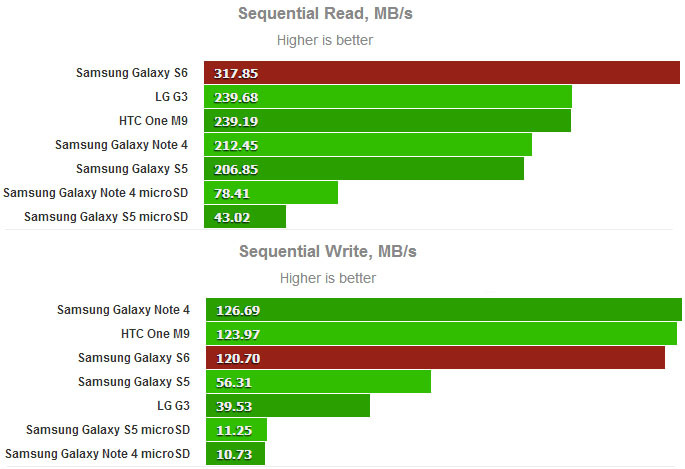 Here's the benchmark results for the data read/write on the Samsung Galaxy S6. As you can see, the new UFC 2.0 storage brought quite an improvement over the previous generation smartphones and the smartphone's performance could have been seriously compromised if a microSD read or write was also in the equation. We know that cheap microSD storage is ideal for backup purposes and that is hardly going to change anytime soon, but perhaps it's a fair guess that its days within high end smartphones are numbered.